Home Power Amplifier What the Difference Between GaAs And GaN RF Amplifier? What the Difference Between GaAs And GaN RF Amplifier? The need for high power in the VHF, UHF, and microwave bands has led to transistors that can easily supply tens to hundreds of watts at RF frequencies to 10 GHz and beyond. Most of these devices are made with gallium arsenide (GaAs) or gallium nitride (GaN). GaAs and GaN are compound semiconductors. Known as III-V semiconductors, they fall into categories of elements with either three or five valence electrons. Boron, aluminum, gallium, indium, and thallium are Category III elements. Nitrogen, phosphorus, arsenic, antimony, and bismuth are Category V elements. Combining a Category III element with a Category V element produces a covalent bond with eight electrons, yielding a unique semiconductor. Such semiconductors have higher electron mobility than silicon, so they’re more useful at higher frequencies. GaAs and GaN have been found particularly useful for microwave power amplifiers. 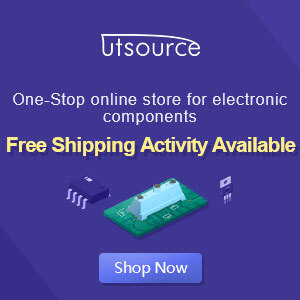 You can use GaAs or GaN to make any type of transistor including the most popular, like bipolar junction transistors (BJTs) and enhancement-mode MOSFETs. But other types have emerged, such as heterojunction bipolar transistors (HBTs), metal-semiconductor FETs (MESFETs), high electron mobility transistors (HEMTs), and laterally diffused MOS (LDMOS). These transistors take advantage of the materials to produce the best amplifying and power handling capability. HBTs use the standard BJT configuration but use different materials for the base and emitter. One popular combination, a GaAs emitter and an aluminum-gallium-arsenide (AlGaAs) base, yields very high gain at microwave frequencies out to 150 GHz. A MESFET is essentially a JFET with a metal gate that’s used to form a Schottky junction with the main conducting channel. The operation is depletion mode, where the device is normally on and is turned off by a applying a negative gate voltage. MESFETs are usually made with GaAs and have high gain at microwave frequencies. The HEMT is a variation of the MESFET. Also called a hetrostructure FET (HFET) or modulation-doped FET (MODFET), it is usually made with GaAs or GaN with extra layers and a Schottky junction (Fig. 1). Depletion mode is the most common configuration. The pseudomorphic or pHEMT version improves performance by using extra layers of indium to further speed electron movement. These devices work at frequencies up to 20 GHz or so. 1. The substrate in a GaN HEMT is usually sapphire or silicon carbide for best het reduction, although silicon can be used. The 2DEG means two-dimensional electron gas, a layer of gas made of electrons that can move in any direction but vertical. The LDMOS transistor is simply a special version of the standard enhancement-mode MOSFET. Designed for high power dissipation, it can achieve hundreds of watts at frequencies to about 6 GHz. This format is used primarily with silicon devices. Most GaAs products are ICs, specifically monolithic microwave ICs (MMICs). These MMICs are mostly low-signal-level gain blocks. Such amplifier blocks use HBTs or MESFETs, but some use pHEMTs. Frequency ranges up to 30 GHz are available. The actual high-frequency cutoff (ft) or the unity gain-bandwidth for GaAs devices is in the range of 150 GHz, although not many devices or IC amplifiers are available with that reach. Such MMICs are widely used in most microwave equipment designs including radios, satellites, radar, and electronic warfare products. Cable TV (CATV) systems represent a major application for GaAs amplifiers. CATV systems use a mix of fiber and coax to carry digital TV signals and high-speed Internet service over a bandwidth from about 40 MHz to well over 1 GHz. The coax line feed amplifiers used along the distribution routes of long coax runs use GaAs amplifiers for their high gain and low noise characteristics. GaAs power amplifiers are available with power levels up to about 5 W. That’s roughly the upper power limit for GaAs devices, since they cannot withstand the high voltages, currents, and heat levels of silicon or GaN. But by using multiple devices in push-pull or parallel or combining amplifier outputs in transformers or networks, power levels up to about 20 to 40 W are possible. The most widely used GaAs power amplifiers are those for cell phones. They’re made in a variety of frequency ranges to cover the various fixed cellular bands. The power level ranges from 27.5 to 28 dBm (0.4 to 0.5 W). They’re class AB linear amplifiers with maximum power-added efficiencies (PAEs) in the 20% to 50% range. The Skyworks SKY77707/9 LTE power amplifier uses a GaAs substrate (Fig. 2). However, the transistors are HBTs made with indium-gallium-phosphide (InGaP) (Fig. 3). This is a common combination. 2. The structure of an InGaP HBT shows a GaAs substrate, upon which is built the collector, base, and emitter layers. The resulting transistor has high gain and power at the lower microwave frequencies below about 20 GHz. 3. The Skyworks SKY77707 GaAs/InGaP HBT LTE cell-phone power amplifier is powered with 3.4 V dc, delivers 28 dBm of power, and comes in a 3- by 3- by 0.9-mm package. GaN transistors have been around for about 10 years. Thanks to Department of Defense (DoD) initiatives, GaN has developed quickly to become the newest star in the microwave power-amplifier universe. Initially developed for improvised explosive device (IED) jammers in Iraq, GaN has emerged as the technology of choice for all new microwave and millimeter-wave electronics including radar, satellite, communications, and electronic warfare. GaN’s high power density, or its ability to dissipate heat from a small package, makes it so impressive. While GaAs has a basic power density of about 1.5 W/mm, GaN has a power density ranging from 5 to 12 W/mm. It also has high electron mobility, meaning it can amplify signals well into the upper-gigahertz ranges. Typical transistor fTs are up to 200 GHz. Furthermore, GaN can do all this at relatively high breakdown voltages levels, up to 80 V or so. The downside to GaN is its high cost. The materials are expensive, and the processes to make devices are costly. As volume increases, production costs will come down but will still remain way above the process costs of bulk CMOS or even higher-cost GaAs production. GaN technology today mainly focuses on microwave and millimeter-wave power amplifiers. Individual amplifiers can achieve power levels of tens of watts. In other parallel/push pull/Doherty configurations, power levels of hundreds to thousands of watts are possible. Most applications are military related, with phased array radar modules and satellite power amplifiers the most common. GaN power amplifiers are beginning to emerge for cellular basestations as well. Also, GaN amplifiers will begin to replace travelling wave tube (TWT) amplifiers in satellites and radar. TWTs are capable of hundreds even thousands of watts. Primarily, though, GaN power amplifiers will replace TWTs in lower-power satellites and radar. The Array Wireless LPA200-250-10W-20-1230 GaN power amplifier operates in the 2.0- to 2.5-GHz range with an output of 10 W (Fig. 4). It’s a linear amplifier with an error vector magnitude (EVM) in the 2% to 2.5% range. Applications include video surveillance links, military unmanned aerial vehicles (UAVs) and unmanned ground vehicles (UGVs), and airborne data/telemetry. 4. The Array Wireless LPA200-250-10W-20-1230 linear RF power amplifier produces 10 W of output in the 2.0- to 2.5-GHz range using GaN transistors. The GaAs product market is huge at several billion dollars per year. The market for GaN is significantly smaller, depending on whom you ask. It may be $150 million, but it is growing at the expense of GaAs. Work continues on GaN production processes to reduce costs as volumes increase. GaAs continues to dominate the microwave space with small-signal MMICs and low-noise amplifiers (LNAs) as well as low-level power amplifiers for cell phones. That will continue. But as GaN costs come down and GaN invades the small-signal space, GaAs will no doubt lose market share. Source What’s The Difference Between GaAs And GaN RF Power Amplifiers?